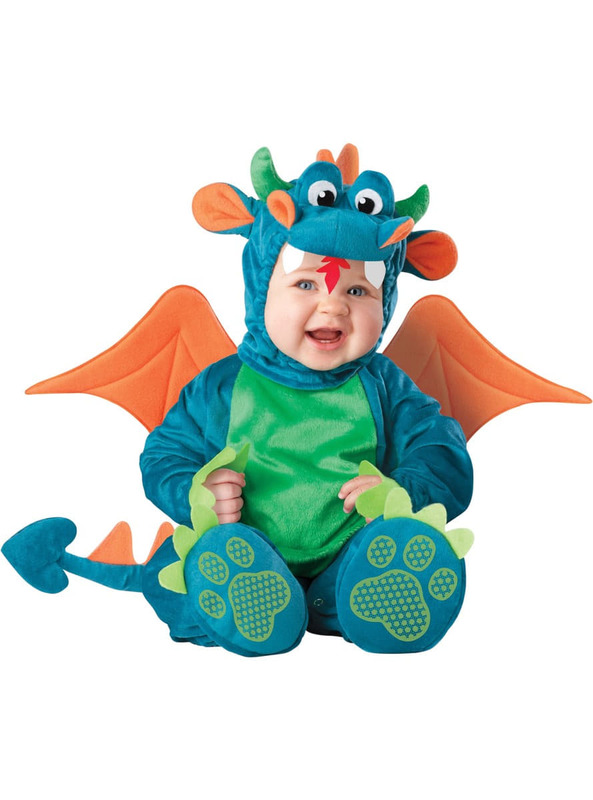 Includes a beautiful costume made up of a blue and green jumpsuit with little orange dragon wings and tail. Also includes an original hood with a head that includes teeth and a flame of fire. To complete the costume and so your little one can take his or her first steps in comfort, matching booties printed with footprints are included. Upload your photos to Instagram with the hashtag #funidelia followed by #funidelia20304. Product Rating: "Drac Dragon costumer (toddler)"